We are located in the hamlet of Cahuzac in the Lot et Garonne area of Aquitaine South-West France near to the Bastide towns of Eymet and Castillonnes. The beautiful Dordogne town of Bergerac is just 30 minutes from us. Bergerac airport operates regular flights all year round from the UK. 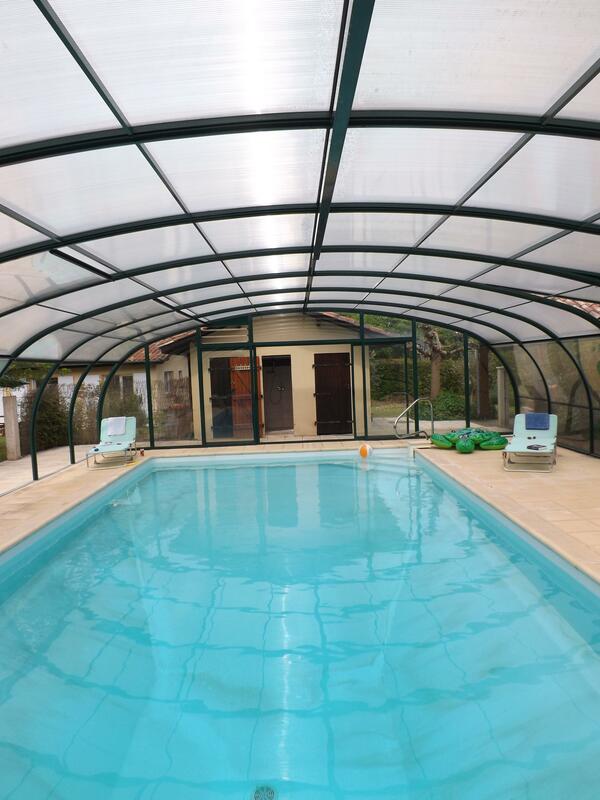 We offer Gite rental (1 or 3 bedroom) as well as Bed and Breakfast accommodation. Both properties are fully equipped including WiFi. UK Satellite Television when booked as Gite rental. Exclusive use of the stunning 10x5 metre heated and covered pool with its independent shower and toilet block, summer kitchen and sun terrace. Enjoy the Games room with its pool table and Wii consul. On site car parking and secured garage parking for motorcycles.